The red grape variety comes from France. There are around 130 Synonyms which testify to the presumably high age and widespread use in Europe and overseas. The main alphabetic grouped by country are Agreste, Auxerrois, Auxerrois des Moines de Picpus, Berau, Blanc de Kienzheim, Bouchalès, Bouyssales, Cahors, Cau, Cauly, Coly, Coq Rouge, Cor, Cors, Cos, Côt, Cot a Queue Verte , Cot de Bordeaux, Cot de Pays, Cot de Touraine, Cot Malbec, Cots, Cruchinet, Doux Noir, Estrangey, Etranger, Grifor, Grosse Mérille, Hourcat, Jacobain, Jacobin, Jacohin, Lutkens, Malbec, Malbec à Queue Rouge, Malbeck , Mancin, Monrame, Pied de Perdrix, Pressac, Noir de Chartres, Noir de Pressac, Prunelat, Prunieral, Quercy, Quille de Coqu, Vesparo ( France ); Malbech ( Italy ); Cagors, Nuar de Presac Moldova ); Malbec, Malbeck ( South America ); Médoc Noir (formerly Hungary ). According to a hypothesis, the vine in the 16th century under King François I (1494-1547) from Cahors (Southwest France) imported and also in the Champagne grown. A certain Malbeck spread the vine extensively in the 18th century Bordeaux and thus coined the name Malbec, which is common here and overseas. In Saint-Emilion They are also called after an unspecified person Pressac , who spread the vine in this area. And in the west of France it is usually called Cot or Côt . 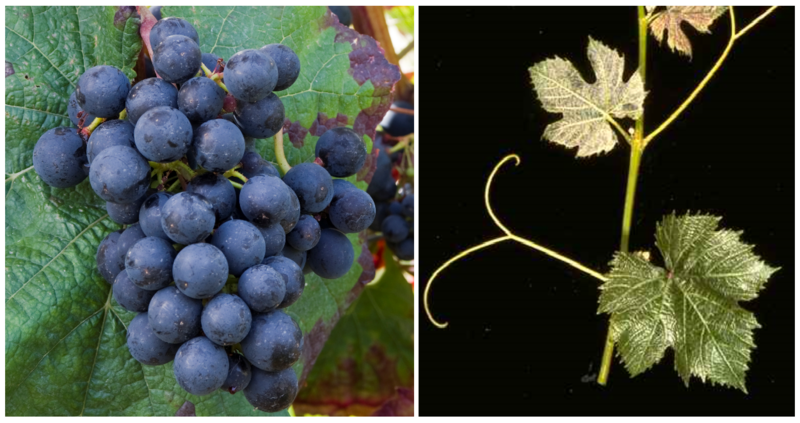 The medium-maturing vine is sensitive to frost, as well as prone to wrong mildew. Black spots disease and Verrieseln, It produces dark colored, fruity-spicy, strong-alcoholic red wines with various aromas of plums, blueberries, spices, dark chocolate and tobacco, Cot is part of the extended circle of the best grape varieties in the world, the Cépages noble, In France, the vine is next to the main growing area Cahors with 70% in many other appellations Southwest France, such as Languedoc authorized. It is also part of the Bordeaux blend but has lost importance here (today 900 ha compared to 5,000 ha at the end of the 1960s). The French acreage in 2010 totaled 6,123 hectares. Other smaller stocks in Europe existed in the countries Italy (260 ha), Moldova (39 ha), Romania (7 ha), Spain (93 ha), Switzerland (10 hours), Turkey (13 ha) and Hungary (1 ha). In the middle of the 19th century, the French agronomist Michel Aimé introduced it Pouget (1821-1875) in Argentina one where they are especially in the region Mendoza ideal conditions and was therefore grown on a large scale. In 2010, she took there under Malbec total of 31,047 hectares of vineyards, making it the most common Argentine variety. In California she had before the prohibition (1920-1933) great importance, but occupies today only 600 hectares. Here she is in the famous Opus One contain. Other stocks overseas were in Australia (356 ha), Bolivia. Brazil (37 ha), Chile (1,264 ha), Canada (39 ha), Mexico. New Zealand (156 ha), Peru (10 ha), South Africa (450 ha) and Uruguay (41 ha). The variety reached a total of 40,663 hectares in 2010 with an extremely rising trend (ten years earlier it was 24,402 hectares). It thus proved in the worldwide varieties ranking the rank 21. This page was last modified at 18 December 2018 at 09:05.